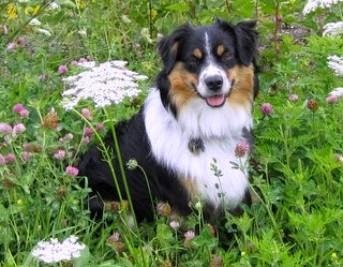 It is with great honor and pride to announce to you today that the Canadian Kennel Club has approved to add the Miniature American Shepherd to the list of Listed Breeds! We are now eligible to register with a Miscellaneous Certification number and as of July 1st/2018 the breed will be eligible to be shown as a listed breed in group VII. More information to come regarding how to register. Thank you Annette Duguay of New Brunswick for joining us as a Board Director. Interested in becoming a Board Member? We have an opening for the position of Vice President. If you are a member and are interested in this position or any other position, we are interested in hearing from you. Our Treasurer Position has now been filled. Thank you Carole Walker for taking on this position and joining the Board of Directors. Also welcome to Karen Douglas who also joined the Board as a Director for the new term. Please check out our new line up under "About Us" and click on the link, "MASCAN 2017-19 Board of Directors." Interested in becoming a Board Member? We have an opening for the position of Treasurer. If you are a member and are interested in this position or any other position, we are interested in hearing from you. Please contact our Nominating Committee Chair, Shelley English at englishfarmkennels@gmail.com. Hello Members: We would like to let you know we have been working on a statement to send out to you all regarding CKC's recent decision about our application to become added to the list of Listed Breeds. We also have a newsletter almost ready as well. We are currently updating our members list and as soon as its done we will get these two things out to you. We are busy behind the scenes and appreciate your patience. Stay tuned to your email for the upcoming information and newsletter. In the meantime feel free to contact me if you have any questions or concerns. 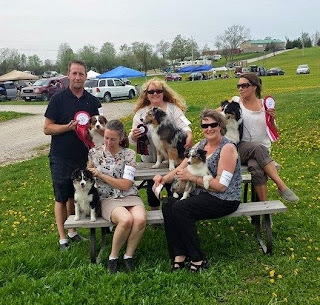 Miniature American Shepherds showing in UKC in Ontario, Canada. Don't forget, your Miniature American Shepherd is eligible to participate in performance events with CKC as well. 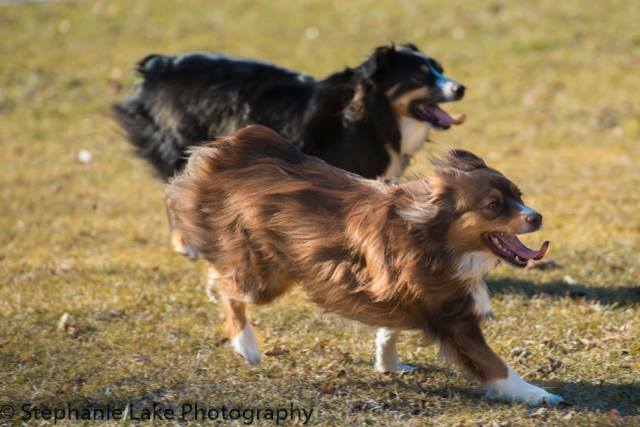 Lakeside Tune's of Rankin (Zor) from Riverside Miniature Aussies had a great weekend of CKC and AAC Agility....getting his 3 qualifying CKC Novice Jumpers with Weaves and 3 qualifying CKC Standard runs and also getting 4 AAC qualifying runs. Miniature American Shepherd to be voted on for CKC Misc./Listed Breed. to be polled by membership to be included as a listed breed for competition purposes. All CKC Members are encouraged to visit www.ckc.ca and log-in to vote! You can also contact CKC by phone or mail to have a ballot sent to you. Our next scheduled Board Meeting will be held Wednesday, April 27th at 7pm via phone conference. All up to date members are entitled to request the Minutes from this meeting once approved. More exciting news from CKC. Stay tuned. 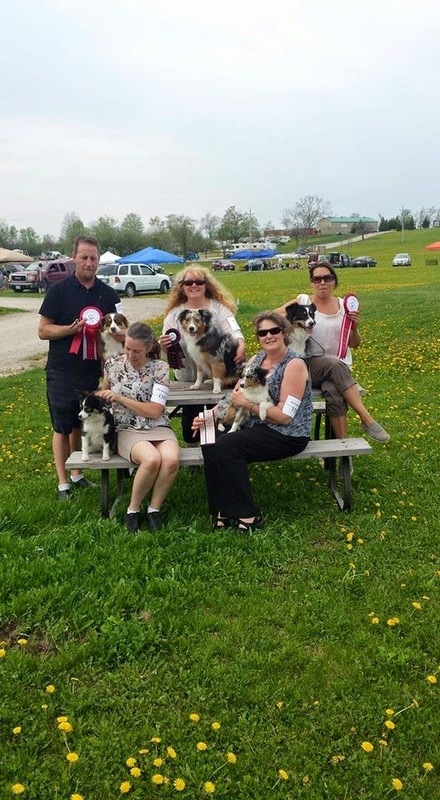 SPRING is just around the corner... and it is time to start marking our calendars for the many great canine events planned across the country this summer. It will be a great season for our Miniature American Shepherds! We are working on our Spring Newsletter and would welcome any input with listing these events. Memberships for 2016 are now due. Included in your membership are some great discounts with various sponsors such as PawPrint Genetics. Details will be unveiled in our Spring Newsletter! Please check out our updated Breeders Listing Page. If you would like to be included in our Breeders Listing Page, please contact us and we would be happy to upgrade your Membership to include a listing. If you are new to our page/blog... please remember to click on the "older posts" tab at the bottom to read prior posts. Thank you... and get ready for muddy paws this SPRING!!! Thank you to all who participated by phone last night in MASCAN's Annual General Meeting. Our member's input is very important to us. 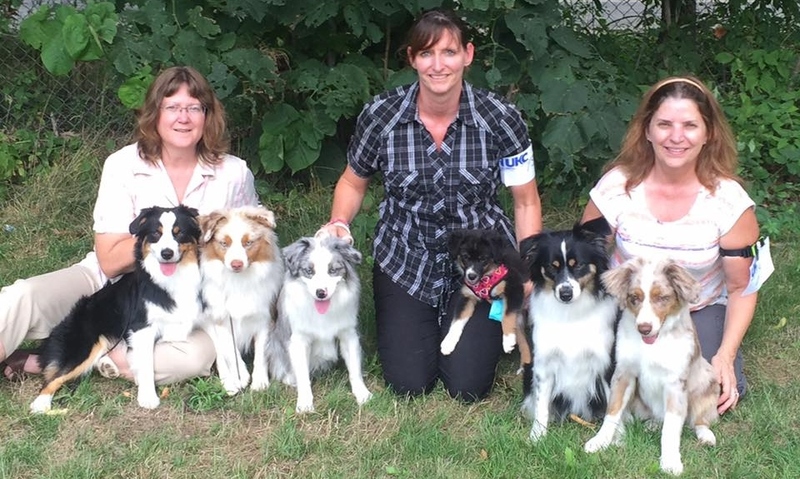 We look forward to an exciting year ahead for the Miniature American Shepherd here in Canada! Thank you. MASCAN Board of Directors. For more information on becoming a MASCAN Member or to become more involved with the club as a future Board Member, please contact us! JOIN US FOR OUR BOARD OF DIRECTORS MEETING. Members are welcome to attend the meeting. It will be a “call in” meeting and all up to date Members will be contacted in advance with a phone number and access code as well as the meeting’s agenda. Happy New Year and Best Wishes for 2016!! We are very excited about what this year will bring for our Miniature American Shepherds. We would welcome any MAS Breeders or Fanciers/Owners to join our club and keep up to date on all of the exciting changes for our breed. Just a reminder if you haven't received your membership renewal notice, to please renew your membership by sending in your membership fee to our Treasurer. Thank you again for your continued support. Miniature American Shepherds were promoted in November at the Pet Expo in Toronto, Ontario as well as Ottawa, Ontario. ARBA Comes to Ontario! JULY 18th... ONE day, SIX shows! ARBA ONTARIO CLASSIC - ONE DAY- 6 Shows!!! This is an ALL Breed as well as a "Rare Breed" conformation dog show. The ALL Breed show is being hosted by the Kennel Club USA and the Rare Breed show is being hosted by the American Rare Breed Association. There will be International Titles offered by the UCI our partner based in Germany. We will also offer American Rare Breed Association as well as Kennel Club USA Championships. electrical hook-ups. There will be six shows, judged by six different judges. We have competition for dogs at the age of 3 months. Dogs between the ages of 3 to 6 months of age have their own show, from breed judging to Best In Show. Our adult shows are for dogs 6 months and older. We also offer classes for altered dogs. We will also offer Canine Good Citizen classes. We hope to see you at the upcoming show in Norwood, Ontario!!. 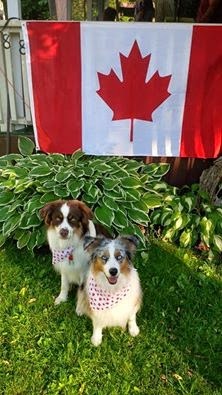 Be sure to check the Blog Archive for lots of information regarding Miniature American Shepherds of Canada. Members are welcome to attend the meeting. It will be a “call in” meeting and all Members will be contacted in advance with a phone number and access code as well as the meeting’s agenda. For more information, or questions about this meeting, please contact one of our Board of Directors. Happy New Year and Best Wishes for 2015!! We are very excited about what this year will bring for our Miniature American Shepherds. January 1st the breed was fully recognized by UKC, and July 1st we will be fully recognized by AKC in the Herding Group! We would welcome any MAS Breeders or Fanciers to join our newly formed club and keep up to date on all of the exciting changes for our breed. Membership forms can be found by clicking the link. Membership Application International Members are welcome to join. As a MASCAN Member, you can keep up to date in the exciting changes happening with our breed, learn about events and clinics that you can participate in with your MAS and more! 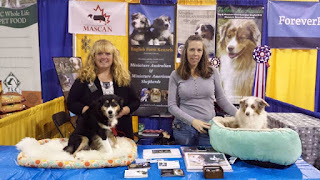 Miniature American Shepherds of Canada, MASCAN, 2014. Simple theme. Theme images by A330Pilot. Powered by Blogger.